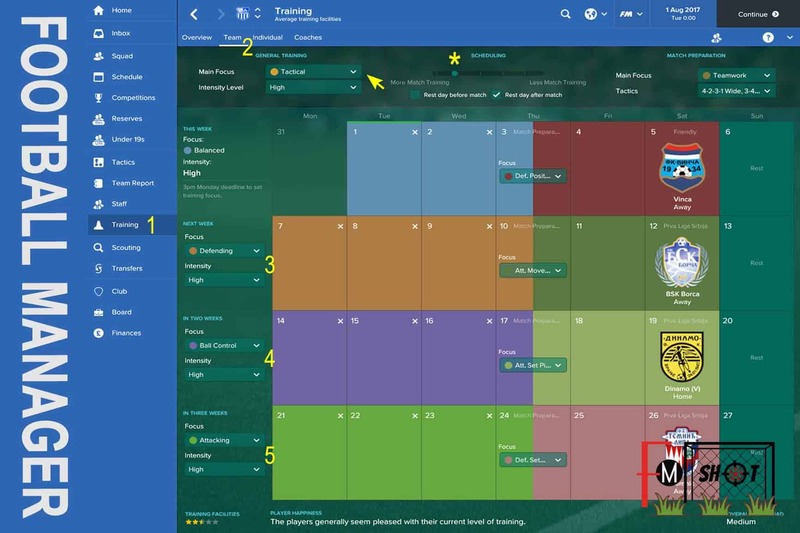 How to set up training in football manager? New season, new challenges! 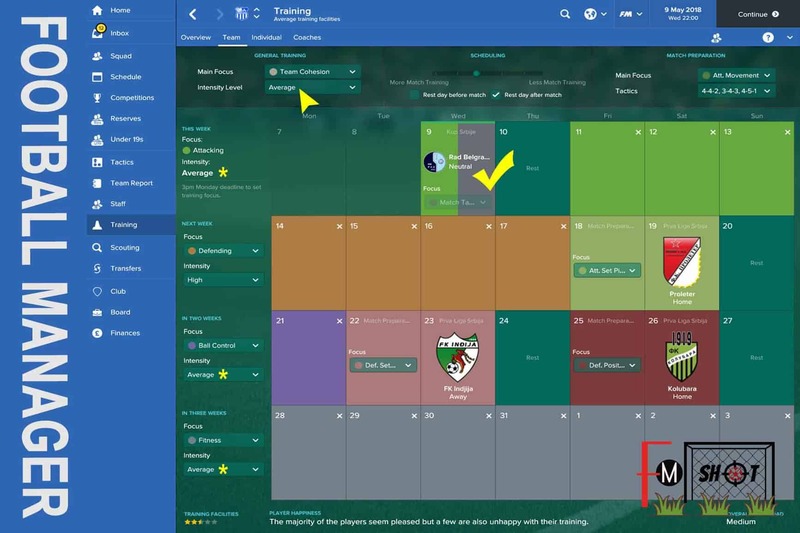 My club has reached a placement in the higher rank of the competition, so preparations are under way. The attention is focused on training and organizing friendly matches. 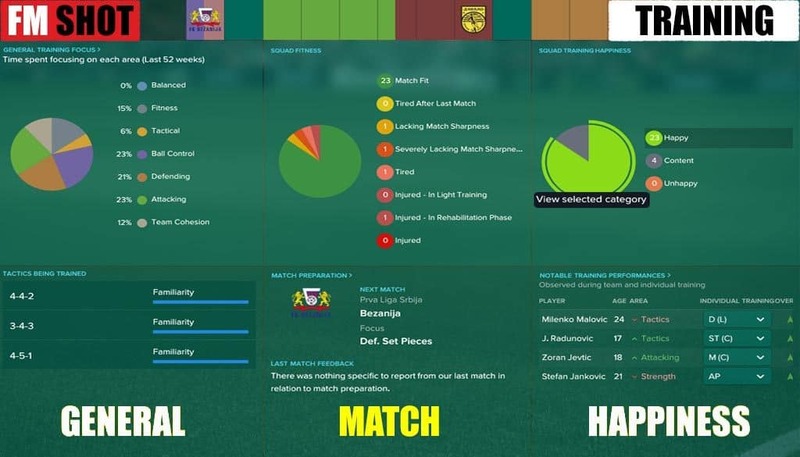 An ideal opportunity that player attributes get a green arrow. The first question that arises is: how long should players be on vacation after a successful season? The decision depends on the current situation. At the moment, there is no big competition, and OFK Beograd does not have a large number of international players (most under 21). On the other hand, I have no intention to change tactics and major changes in the team won’t be. It all leads to the fact that the preparation can begin 10/07/2017 (Pre-season lasts 4 weeks). The question is now whether to play at home or abroad. If I managed to bring strong opponents (plus a tournament), it would be good for finances. 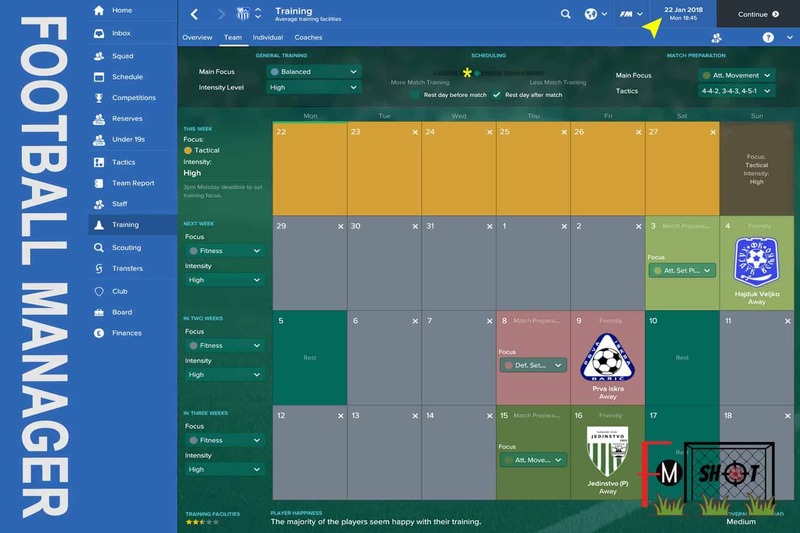 However, I have decided to play the first three games away from home. Training camp is abstract noun at this time, so this is a good solution. But … There is also a school system. These are 6 games in a span of 3-4 days. 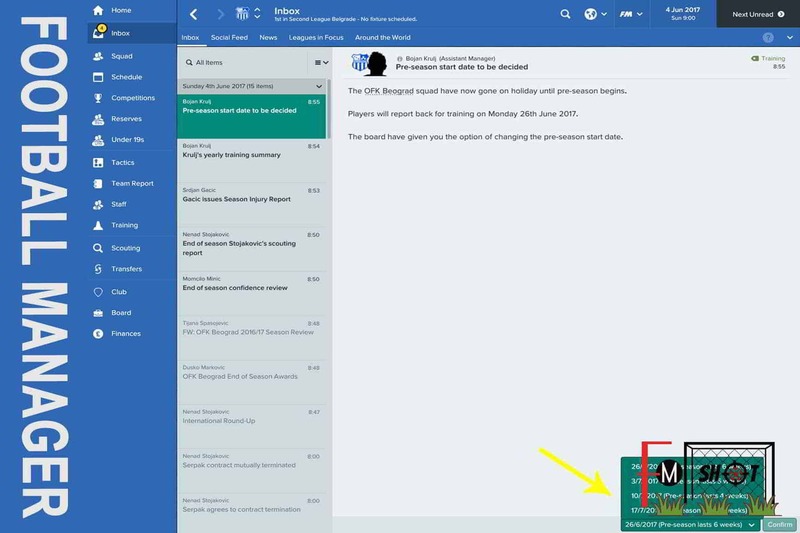 The first team must have minimum 23 players. Each player has a substitute and spends 45 minutes on the pitch. In this way, better results are achieved, but also a possibility for one small problem – injuries of key players. The first week we start slowly – fitness (average). General training has a main focus – balanced, and match preparation – teamwork. 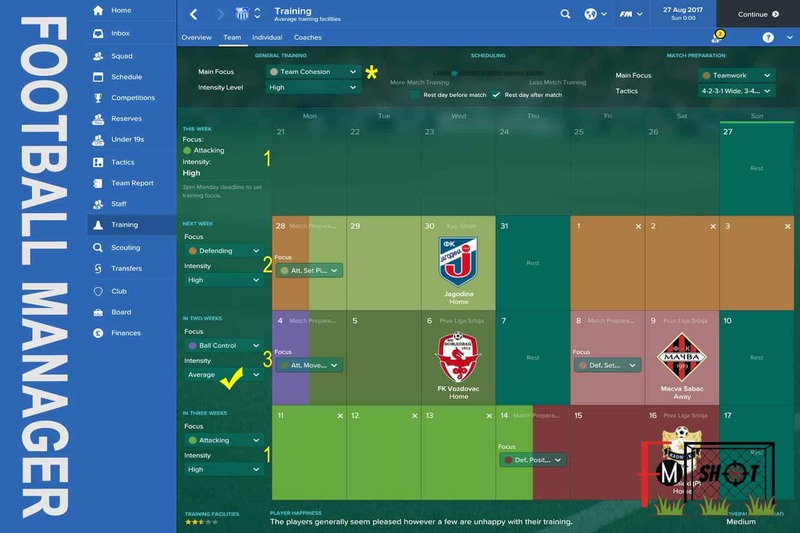 When it comes to scheduling, the choice is as follows: more match training and rest day after match. 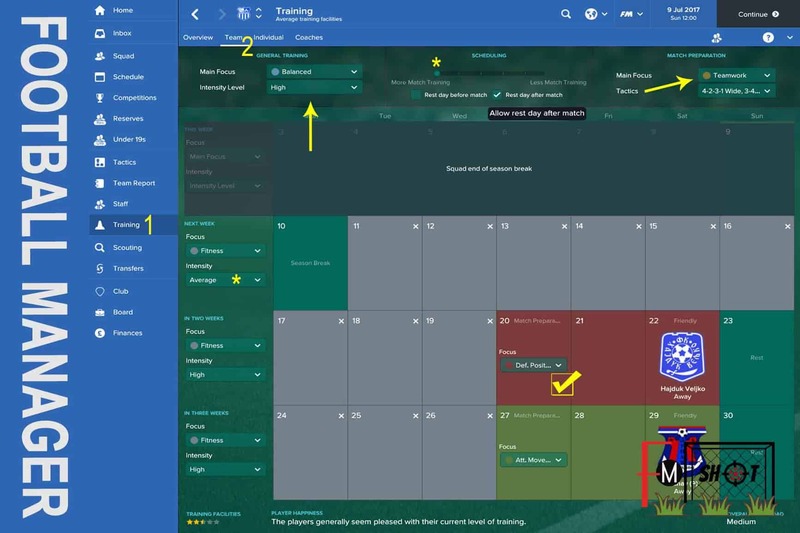 If this was my first (fm) working day in the club, attention would be focused on tactics. 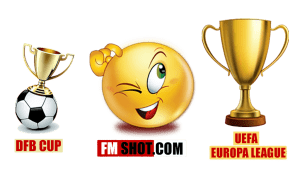 Of course, the whole process has a time constraint 10/07/2017 – 01/08/2017. After successful preparation, the season starts. I make small changes because a different approach to training is needed. Weekly tasks can be three options: defending, ball control and attacking. Match preparation depends on the opponent and the terrain, so that I can not define the tasks. General training has room for tactics and teamwork that rotate on a monthly basis. This is valid since 01/08/2017 – 01/12/2017. Once the first part of the season is over, the line is underlined. I’m thinking about the results and transfer policy. The training goes to the second plan, and the following options are available: balanced, fitness and tactics. It’s more interesting to look destination for preparatory matches, so that team would be ready to continue the season. The second part of the season brings new challenges. The transfer deadline is over and the new players should fit into the system. The tempo declines in April and May so the HIGH status goes to AVERAGE. 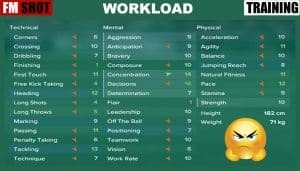 It is important to take care of players because it’s not good that phyisos have a lot of work at the end of the season. I forgot to mention one little thing, and it’s overall workload. 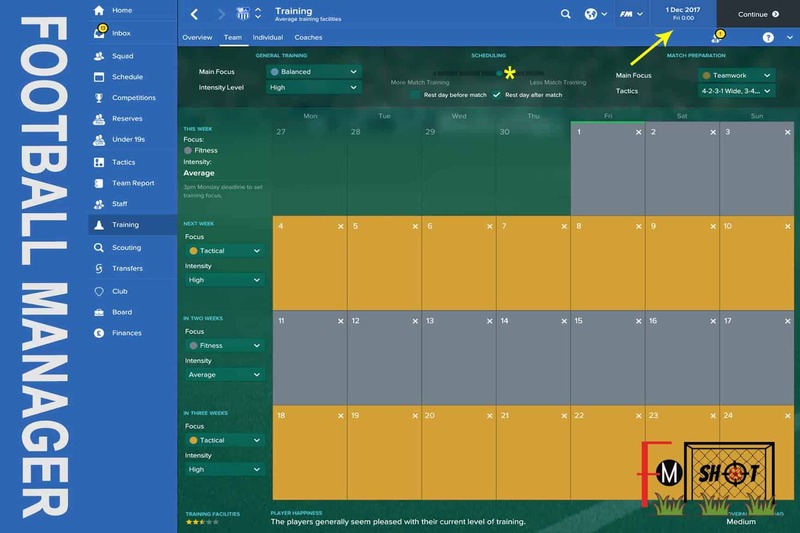 The indicator is located in the bottom right corner of the training-team option. It is set to medium, which can be concluded from the attached photos. Why? Due to individual tasks!